Psychiatrist Nils Bejerot coined the term "Stockholm Syndrome" - a psychological state where hostages sympathize with their captors - in 1973 after the Norrmalmstorg robbery in Stockholm, Sweden, though it gained prominence when Patty Hearst's attorneys used it as a defense for her actions during her criminal trial in 1976. Hearst was kidnapped in 1974 by the Symbionese Liberation Army, and assisted in their robbery of a San Francisco bank later that year. In this iMinds title, Luca James Lee uses sober authority to comprehensively summarize a complex state of mind, simplifying the matter for listeners and enabling easier accessibility. 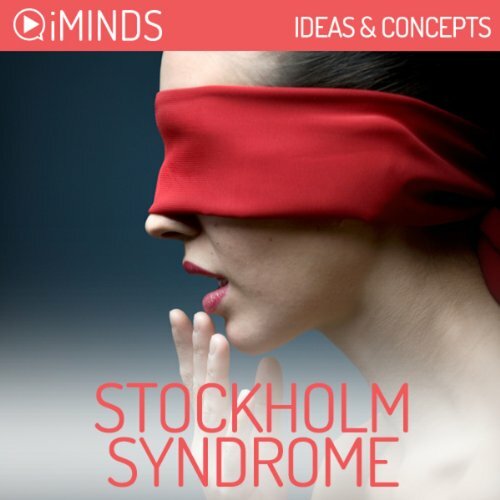 Learn about Stockholm Syndrome with iMinds insightful audio knowledge series.At first glance two of the 1970's most notorious bank robberies would seem to have nothing in common. They occurred eight months apart, for different motives, on opposite sides of the globe. But these two incidents would prove seminal to the development and understanding of a curious and once controversial psychological condition; Stockholm Syndrome. The term Stockholm Syndrome had been coined less than a year earlier by psychiatrist Nils Bejerot after the robbery of the Norrmalmstorg Kreditbanken in Stockholm. The bungled robbery resulted in a hostage situation during which four bank employees were held captive for more than five days from August 23rd to August 28th 1973.